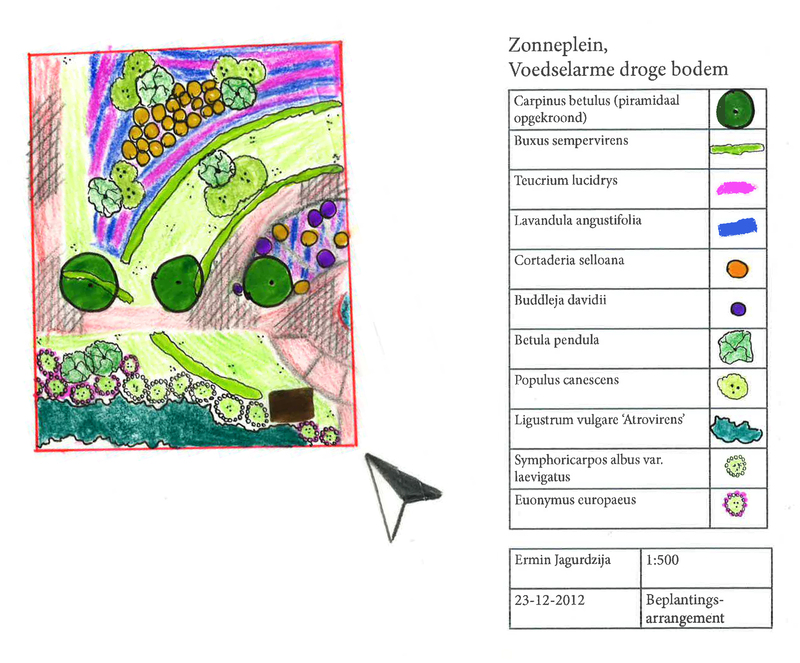 I started the project with an indicationmap of the schoolgarden, so i could learn how to draw siteplans. 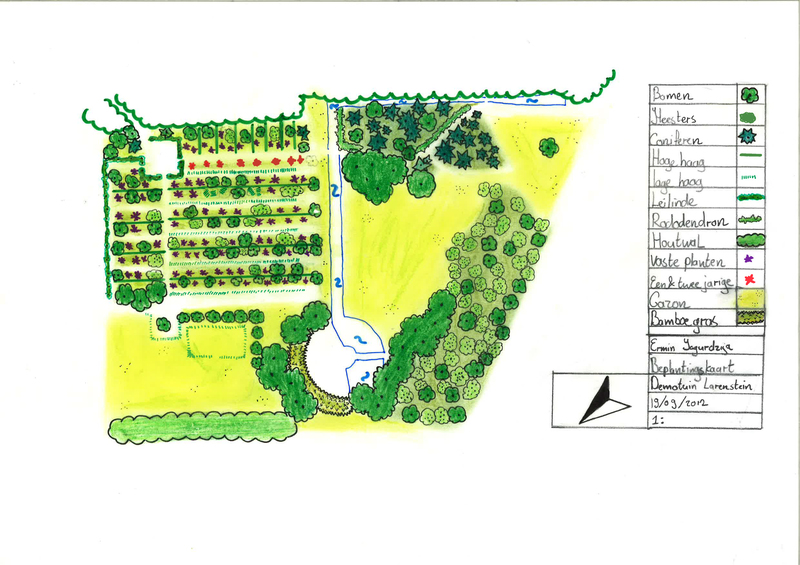 After this we got the assignment to make two plantingmaps for a cemetery. 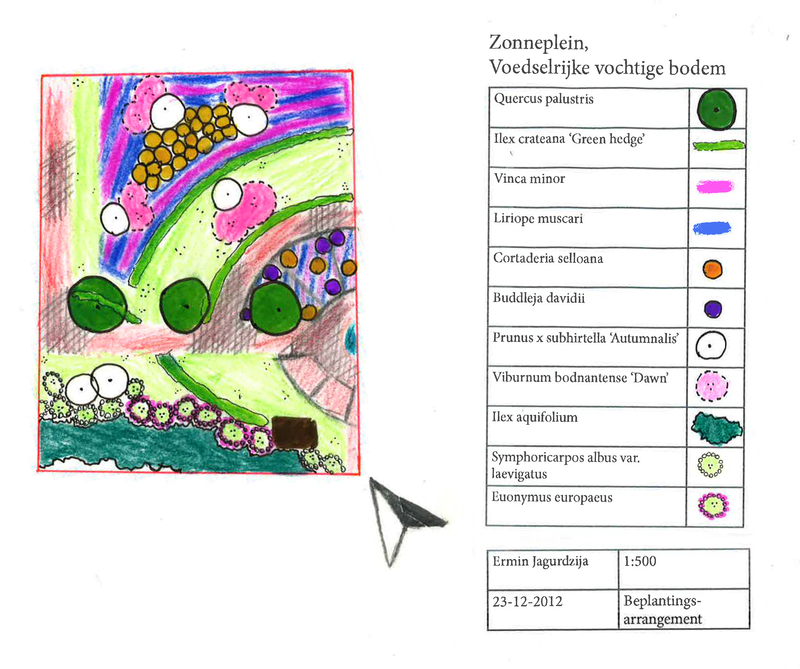 I chose for the colors pink, blue and yellow.